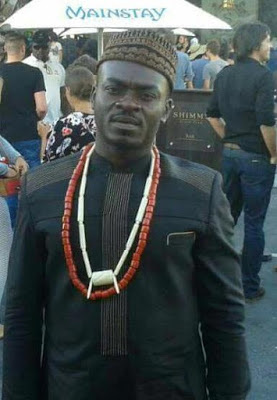 A Nigerian man identified as Tochukwu Nnadi was reportedly choked to death by police in South Africa on Thursday December 29th after he was arrested for allegedly selling drugs. According to eyewitnesses, the man, popularly known as King Kingsley, was not struggling after he was arrested and handcuffed but one of the officers held onto his neck and squeezed tightly until blood started gushing out. His body was later removed.